Ever since my retirement travel adventures have brought me to Southeast Asia I have been fascinated by the Buddhist practice of Alms Giving. This scene took place early one morning on the island of Don Khong, in the 4,000 Islands areas of Southern Laos. 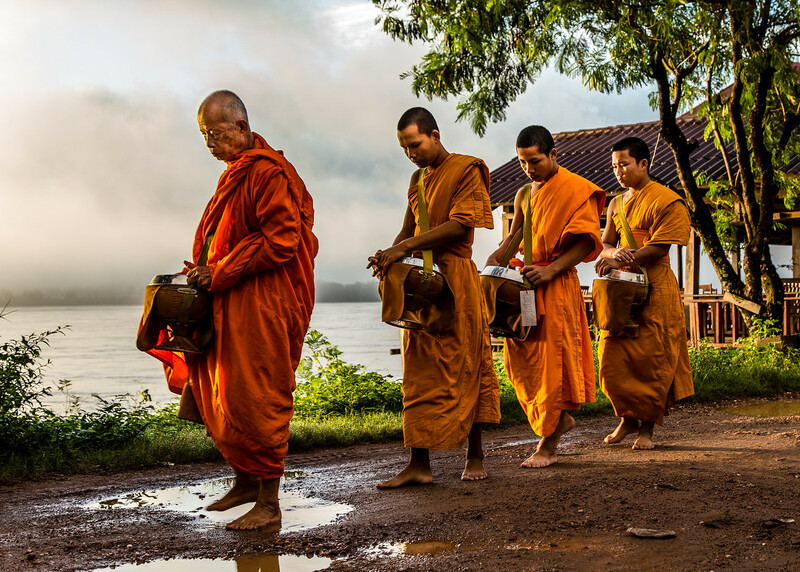 I love the way the light came off the river and highlighted the monks saffron robes. I had to do a little enhancement in Photoshop and Adobe Lightroom but, this scene is pretty much as I saw it. I made this image with my Canon EOS 6D 20.2 MP DSLR Camera with a Canon EF 24-105mm f/4 L IS USM Lens handheld, set at 320 ISO, 47 mm, f/3.3, 1/160 sec.